The inspirational number-one best seller by John P. Strelecky. Now translated into 36 languages and read by more than two million readers worldwide. In a small cafe at a location so remote it sits in the middle of the middle of nowhere, John - a man in a hurry - is at a crossroads. Intent only on refueling before moving along on his road trip, he finds sustenance of an entirely different kind. In addition to the specials of the day, the cafe menu lists three questions all diners are encourage to consider. 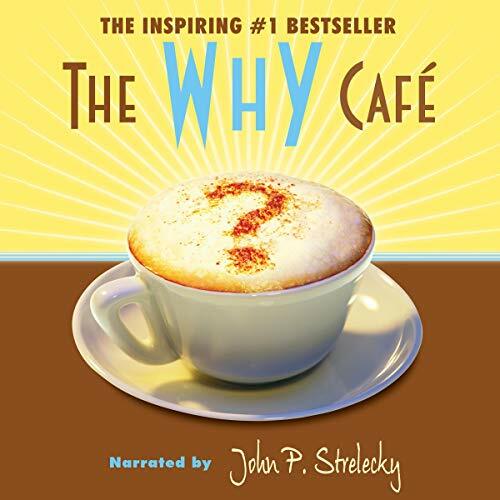 With this food for thought and the guidance of three people he meets at the cafe, John embarks on a journey of self-discovery that takes him from the executive suites of the advertising world to the surf of Hawaii's coastline. Along the way he discovers a new way to look at life, himself, and just how much you can learn from a green sea turtle. This is a very basic, easy to read and understand Life purpose 101 handbook. The concepts are simple but many people have never considered them. I would be willing to bet that 99% of people would get benefit from reading this. It’s very short and easy so it’s worth it! I will especially be sharing this book with the younger people in my life who are just figuring out what they need to go do in the world. It will offer them a perspective that society for the most part has not. Me encanto, sobre todo me hace ver la realidad, y me inspiro mucho para encontrar mi verdadero propósito.